IsaCrunch is an all-natural vegetarian source of protein and amino acids. It’s made from hulled hemp seeds and Isagenix’s own blend of Ionic Alfalfa. Hemp seeds are one of nature’s richest and most well-balanced sources of omega-3 and omega-6 fatty acids. Omega-3 and 6 fatty acids are essential for a healthy body, playing a vital role in brain function, skin and immune system health. Provides optimum levels of all 20 amino acids – including the 9 essential amino acids – and minerals. IsaCrunch is an amino acid and omega fatty acid-rich protein source, that’s vegetarian-friendly and the perfect addition to a healthy lifestyle. Made from 100% natural ingredients including hulled hemp seeds, one of nature’s most powerful plant proteins. With more protein per gram than chicken and eggs, hemp seeds make a great training partner. Omega-6 and omega-3 fatty acids are important for maintaining healthy brain function, as well as for protecting your heart and overall health. IsaCrunch contains both omega-6 and omega-3 fatty acids in an optimal 3:1 ratio. Hemp seeds are a great fatty acid alternative to fish oil supplements. They’re also easily-digested and contain essential amino acids. 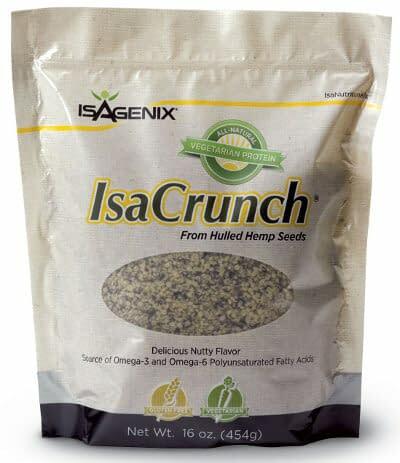 Hemp seeds are naturally easy to digest anyway, but in IsaCrunch, they’re even easier, because the outer shell has been removed. This gives the mixture a satisfying crunch, and means you benefit from a more bioavailable source of nutrition, which still contains plenty of natural fiber. Bioavailability refers to how easily the body can absorb and use the nutrients found in food. IsaCrunch is highly bioavailable. More of the nutrients in it pass through your gut quickly, to be sent where they’re needed most. The addition of Ionic Alfalfa further increases the mineral content of this product, making it one of the most nutritious vegetarian-friendly blends available. IsaCrunch contains all 20 amino acids. 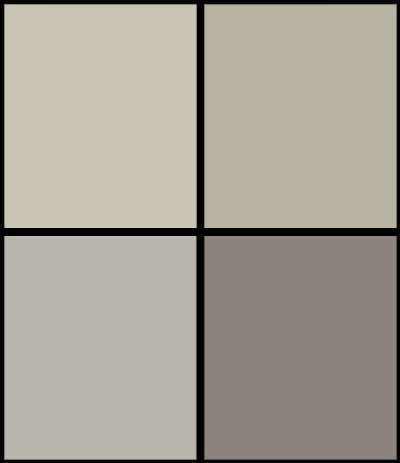 Nine of these are classified as ‘essential amino acids’. These essential amino acids are required in order for your body to function properly, but it can’t make them itself – you need to get them from food or supplementation. When you exercise, your muscles experience microscopic breakages, which are essential for growth, but if left unloved, can slow your progress and your recovery. Protein helps you begin to repair muscles after exercise, and helps you protect them during exercise as well. Amino acids are the building blocks of muscle, and are crucial for a healthy body. Take care of your health the natural way, with IsaCrunch. IsaCrunch is bursting with health-promoting amino acids, including the 9 essential amino acids your body needs, but can’t make on its own. Contains only the tender, nutritious heart of the hemp seed – no dust or annoying skins. Naturally high in useful fatty acids, IsaCrunch contains an optimal 3:1 blend of omega-6 to omega-3. Isagenix’s own blend of Ionic Alfalfa sends the mineral content soaring, giving you the best possible health supplement. Sprinkle onto salads and soups, bake with them, or enjoy straight from the packet. Hulled hemp seeds contain no gluten, so they’re great for people with allergies. Serving size = 3tbsp (9g). Amino acids are the building blocks of protein. They’re essential for every single reaction in your body. IsaCrunch contains all 20 of them. Why are omega fatty acids important? Omega-3 and omega-6 fatty acids are important for healthy brain function, as well as heart and cardiovascular system health. How should I use IsaCrunch? Try mixed with salads and soups, yogurt and dips. You can also eat the seeds straight from the packet and enjoy their natural nutty flavor. How can this product help my training? Because it is high in protein and therefore amino acids, it’s perfect as a post-workout snack, to help you recover and build healthy, lean muscle. Slim Cakes: With just 90 calories and an impressive 5 grams of fiber you can enjoy these tasty, heart healthy snacks everyday!